Ideas, revelations, solutions and numerous projects are flying circles around your head like jetliners around LAX. I suggest you let them land one at a time. No matter what you feel, you can’t actually do more than one thing at once. 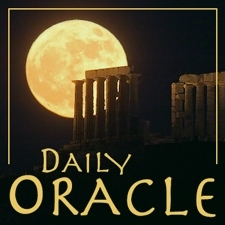 Today’s Oracle takes us to the Taurus weekly for Dec. 6, 2013. Ideas, revelations, solutions and numerous projects are flying circles around your head like jetliners around LAX. I suggest you let them land one at a time. No matter what you feel, you can’t actually do more than one thing at once. But you can do one thing at a time extremely effectively, and you can do it with a level of mastery quite beyond your years or experience. In fact the current moment is an opportunity to do some of the best work of your life. So keep burning the midnight oil.